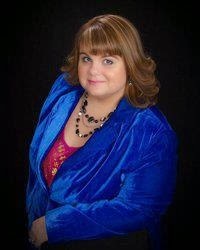 Two Chicks On Books: Blog Tour: VANGUARD by Ann Aguirre An Interview & Giveaway! Blog Tour: VANGUARD by Ann Aguirre An Interview & Giveaway! Hey everyone! 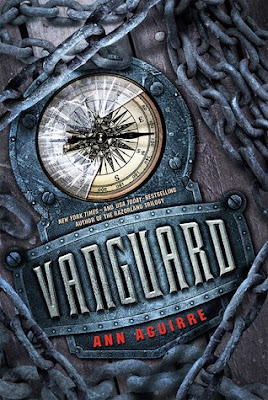 I am thrilled to be hosting a spot on the blog tour for VANGUARD by Ann Aguirre! I freaking love this series!!! I have an interview with Ann to share with you today! And make sure to enter the giveaway below! Haven't heard of VANGUARD? Check it out! Hey Ann!! First I want to say welcome back to Two Chicks on Books I’m glad you could stop by for a chat it’s been a while! VANGUARD was freaking AWESOME and I can’t wait for everyone to read it! For the readers: can you tell us a little bit about the events leading up to VANGUARD and the characters? Will we see Deuce and Fade or is this story all Tegan’s? The book takes place about ten months after the closing events of Horde, though certainly before the fairy-tale style epilogue. Tegan has been studying with Dr. Wilson, and then a pivotal event occurs, freeing her to pursue a grand adventure of her own. This is definitely Tegan’s story, but there are a few scenes with Deuce and Fade, and yes, you do get to find out whether their first child is a boy or a girl and what the baby’s name is! It’s been 4 years since HORDE! Why did you decide to re-visit the Razorland series after a fairly long break? Definitely not. While I do pull dialogue from the way real people talk, my characters live only my head. My favorite is Szarok by far. My least favorite POV was James Morrow, but that’s just because he’s up against Tegan and Szarok. What is your favorite passage/scene in VAGUARD? I love the scene where Tegan and Szarok are stranded on the island and she teaches him to kiss. A lot of ‘stranded on a non-desert island’ type stuff. I had to figure out what resources they would plausibly have in a skerry located up near Newfoundland. My kids. They were asking me when they were around thirteen and fifteen, “When are you going to write something we can read?” and the Razorland trilogy was born. I discovered I really liked writing for teens and just kept going. Guardians of the Galaxy 2 and it was SO FUN. Baby Groot forever. Thanks so much Ann for answering my questions! I can’t wait for everyone to read VANGUARD! 3 winners will receive a finished copy of VANGUARD, US Only. Grab the first 3 books! Thanks for the interview today. I love that readers contacted you about what happened to their favorite character. This series sounds great. Thanks for the post. Ann Aguirre's books are always a big hit here, multiple reads by multiple readers. Thanks for the chance to win this newest one. Looks like a great book from Feiwel! Thank you for the post! One of my favorite series! Thank you! Great interview! I love this series and I'm so excited for VANGUARD! I'm so excited!! I read the whole series in 2 days- I couldn't put it down! This looks fantastic! That's a very eye-catching cover! This sounds like a very interesting series!